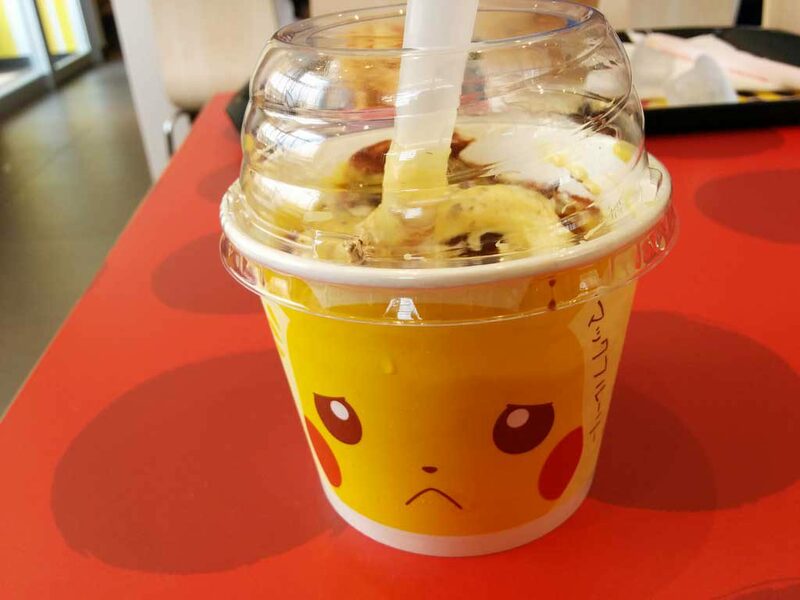 McDonald’s is selling Pikachu McFlurry for a limited time. It has a banana flavor with chocolate flakes. The facial expression of Pikachu varies from cup to cup.